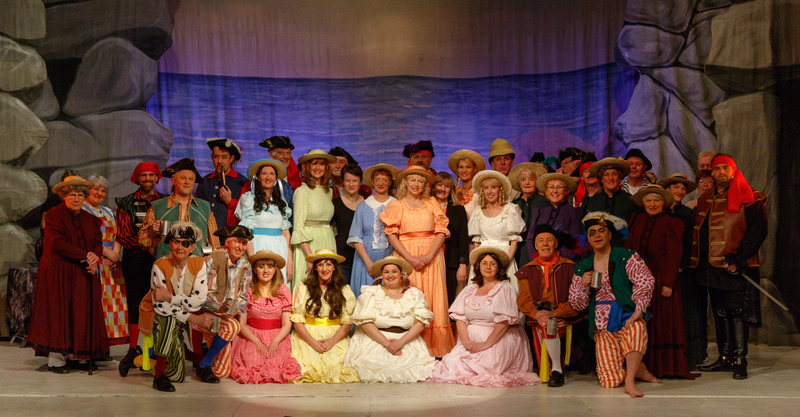 We are Bolton's number 1 Gilbert & Sullivan society, established in 1927 and still going strong. Our members range from 16 years old to 70+. Why not join us? Tonight's the night! Opening night is here! 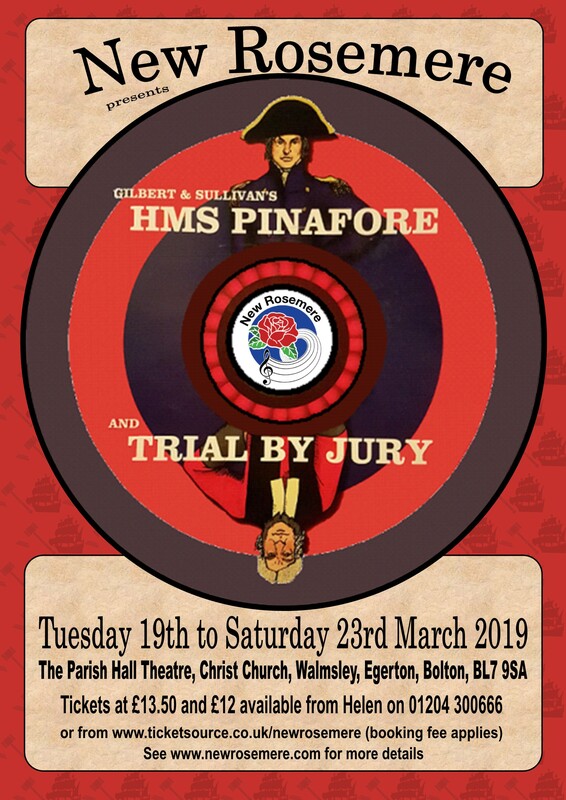 'Trial by Jury' and 'HMS Pinafore', runs tonight til Saturday, at 7.30pm at The Parish Hall Theatre, Christ Church, Walmsley, Bolton, BL7 9SA. Monday night's dress rehearsal was "a fabulous show" with "the best orchestra you'll hear at an non-pro show". You have only 5 chances to come and watch this great society put on 2 of Gilbert & Sullivan's gems. With a superb 16-piece orchestra and an award-winning cast and production team, we know it'll be a great night's entertainment. We await your presence on the quarterdeck- hope you can join us. New Rosemere picked up 3 awards at National Operatic and Dramatic Association (NODA) district 5 awards held recently. Our 2018 production of The Pirates of Penzance won best Gilbert and Sullivan, best Musical Director and best Female Comedy role out of a total of 7 nominations. "The Pirates of Penzance was a perfect pick-me-up on a Spring evening. The playful, polished, professional show was a pleasantly piratical introduction to Gilbert & Sullivan for a good number of patrons. What a show! Congratulations to all!" On Saturday 17th February, 7.30pm at St. Paul's Church, Astley Bridge.